Are you ready to create together? This year, we’re creating our own Lenten devotional! As a congregation, we’re going to go through the daily lectionary texts for the season of Lent. 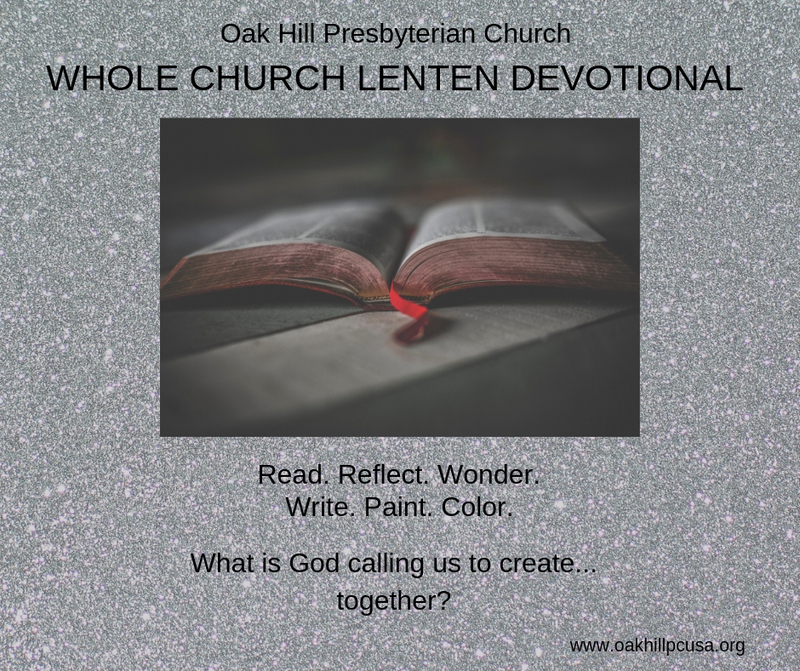 Each individual, or family, or pair of friends, or however you’d like to tackle it, will select a Lenten Devotional Prompt for one day in the season. Then, read through the texts, pray, reflect, ask questions, imagine, and wonder. Then the task is to respond in some way that we can share- write a response, take a photo, paint something, record yourself singing a song you wrote…whatever form it takes is open to your own expression. Pastor Erin will collect all the submissions by Feb 21st and will put them together in both online and paper formats. It’s an opportunity for us to study and grow, it’s an opportunity for us to listen to one another’s experiences, perspectives, and sharings. It’s a little scary, of course, to put ourselves out there this way. But it’s also an incredibly wonderful way for us to worship, study, grow, and love together. Pick up your Lenten Devotional Prompt today in the back of the sanctuary, or send Pastor Erin an email and she’ll send you a PDF version electronically.